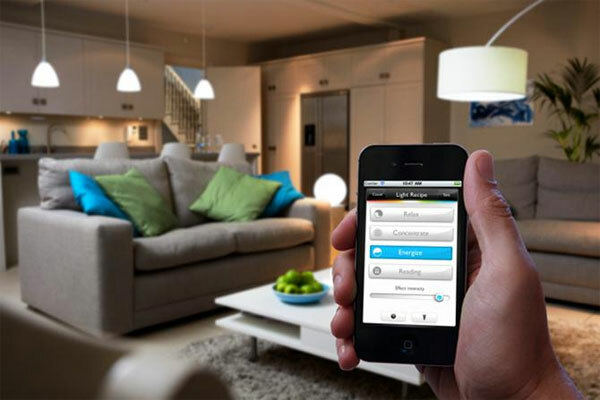 General Lamps Blog - How smart is smart lighting? Smart lighting is already a term that may mean different things to different people but my definition is this: Smart lighting is the digital control of lights so they can be used in a more practical and efficient manner. So why do we need clever lights? Here are the 4 biggies when it comes to selling the concept of smart lighting. As you learn more about the potential functionality you may see additional benefit specific to your needs. These are just the generic paybacks that everyone should benefit from. Saves you money – The ability to use your lights more efficiently will reduce your electricity bills by a considerable amount. I’ve seen case studied where, depending on your previous usage, savings ranged from 30 to 60%. And although the upfront cost of a smart system may be high, over its total lifetime the payback will be great. Saves time – The Apps and controllers for your system should provide an easy, user friendly way to control your lights. 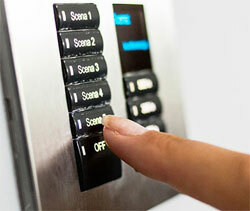 A quick press of a button and you can control multiple lights, in multiple rooms in an instant. No need for technical knowledge or to keep running up and down the stairs! Improve security and safety - How about turning on the lights just before you get home so you don’t walk up the drive in the dark? Or create a schedule that gives the impression a building isn’t empty. Programming your landing and living room lights to come on for a few hours in the evening while you’re away on holiday, for example. If it’s this good, why hasn’t it taken off? For me there are two main factors that are hindering the smart lighting revolution. Firstly, manufacturers have produced, and are now developing and evolving, some serious kit (with awesome functionality) but as with all complicated systems it takes time and effort to understand. Whether you’re looking for a domestic or commercial solution, the information and people you need to help you don’t seem to exist. Who do you get to specify the right solution? Who installs it? Who’s responsible for setting it up and teaching the owners how to use it? And then finally, who provides maintenance? I’m sure the hole left by these unanswered questions is leading to a vast number of potential smart lighting users from dropping out before they’ve even started. Then secondly, the market is filling up with items that come across as more novelty than useful. A quick Google for smart lighting and the top results are full of reviews for one or two light bulb systems that don’t really stand a chance of revolutionising the way we think about our lighting. I’ll go back to my definition at the start; smart lighting should enable a more practical and efficient use of lighting for its users. If it doesn’t provide convenience or create energy savings then, well it’s not really ‘smart’ is it?